Clark Tenakhongva sings traditional Hopi songs and creates new songs in the traditional style, and is widely considered one of the most respected and accomplished Hopi vocalists of his generation. 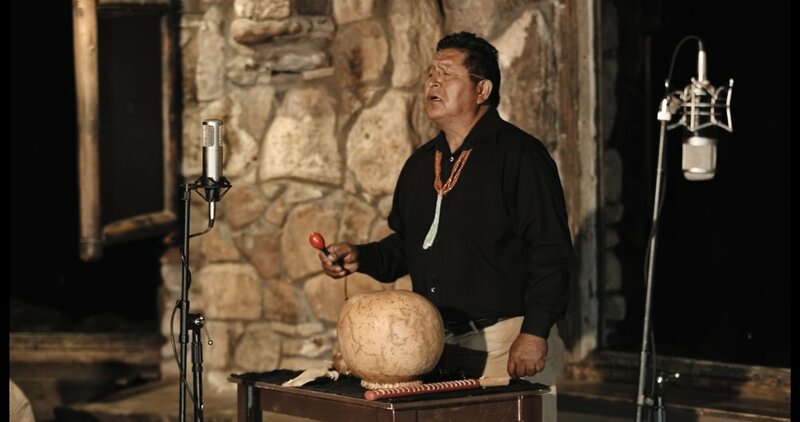 By singing songs about Ongtupqa (Salt Canyon), Clark is able to connect with his ancestors and share Hopi traditions with others in a meaningful way. In addition to his powerful vocal ability, Clark also contributes Hopi percussion to the recording with rattles and a wooden rasp played with a deer scapula over a gourd resonator, mimicking the croaking of frogs after a rainstorm. Gary Stroutsos plays the Hopi long flute, a replica of an instrument found in caves in the Four Corners area and archaeologically dated to AD 828 – 1126 (Pueblo Bonito, Room 33) and AD 620 – 670 (Broken Flute Cave). Ethnomusicologists consider this flute among the oldest known flutes in North America. Hopi long flutes are much older than the popular Plains flutes of the early 1800s, which have come to define the sound of the “Native American flute." Since these rim flutes require the player to create an embouchure with the muscles of the mouth and blow across the edge of the flute to get a tone, Hopi long flutes are much more difficult to play. Gary plays instruments made by Michael Allen, Michael Prairie, and Jeffrey Ellis. Two songs also feature a clay wind whistle. Matthew Nelson plays clay pot drums from a variety of indigenous traditions. Long before skins were stretched over wooden frames to create membranophones, clay pots were used to carry water, store grain, cook food and create rhythms. The sounds of clay drums are subtle, organic, and provide an earth-based complement to flute and vocals. The three clay pots featured on this recording include a large bass udu from Atelier Terre & Son (France), a ghatam from Karnataka, India, and an udu from Latin Percussion. Grand Canyon photo by Larry Simkins. Instrument photos courtesy Levi S. Davis/AZ Camera.